Your productivity rests on the ability to get the job done quickly, while also getting it done right. When it comes to widening roads, you need a machine that’s designed to match the correct quantity of material to the right grade and slope in one pass. Weiler road wideners set the standard for precision, ensuring you maximize productivity for each and every application. 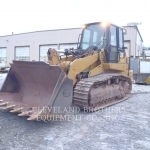 Cleveland Brothers carries a full line of Weiler road wideners, with a selection of four machine sizes to meet your exact requirements. 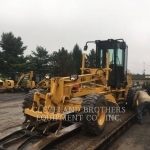 When you require the best paving and road widening equipment, we’re the name you can trust across Pennsylvania and beyond. Weiler’s newest road widener, the W330 has a compact design to handle smaller applications, featuring a working width up to 6 feet and depths of 8 inches above grade to 10 inches below grade. The W330 comes standard with a Cat<sup>®</sup> 2.2 49 hp Tier IVA engine, front-wheel hydrostatic 2-speed gearbox and chain drive conveyor belt. Optional features include an LED strobe, weight kits, working lights and wash-down system. The W730A is capable of widening roads up to 14 feet on grades 12 inches above or below, and it provides the power to tackle the toughest jobs. 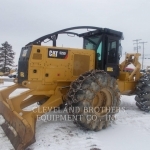 Fitted with an impressive 174-hp Cat C6.6 engine and 4-wheel hydrostatic hydraulic drive, this heavy-duty, self-propelled machine is as versatile as it is powerful. The W730A comes with a host of standard and optional features for improved function, safety and easy of use. Weiler’s W530 provides a step down from the W730A that still features plenty of raw power to handle a diverse range of road widening jobs. Fitted with a Cat 4.4 114-hp Tier II engine with front wheel hydrostatic hydraulic drive, the W530 can widen roads from one to 10 feet and handle working depths ranging from 12 inches above or below grade. 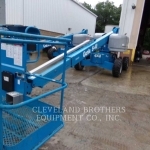 More transportable than its larger counterpart, this self-propelled widener can be delivered with options ranging from an additional operator’s seat to opposite side mounts and hydraulics. A most versatile road widener, the self-propelled W430 can widen up to 8 feet and perform at depths of 12 inches below or above grade. Designed for maneuverability, precision and ease of use, the W430 runs on a Cat 83-hp Tier III engine and front wheel hydrostatic hydraulic drive, and it features a chain drive conveyor belt on both ends. 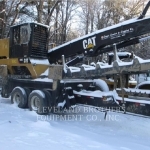 Call Cleveland Brothers today for a quote on the road wideners best suited for your specific applications.